Students display spent machine gun bullet belt. 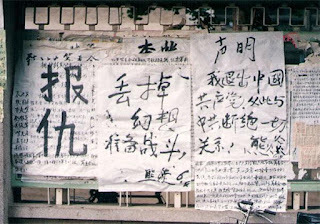 Posters at Peking University calling for revenge. 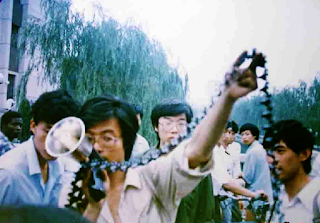 On the right is Xiong Yan's statement of resigning from CCP.